If you’ve completed a Marketing Systems Review, use the buttons below to schedule additional appointments. If we’re currently working on a project together and a quick email communication just won’t do, schedule a time to discuss what’s on your mind. These calls are 30 minutes in length and you will have an opportunity to give us some background on what you’d like to discuss when you schedule the call. 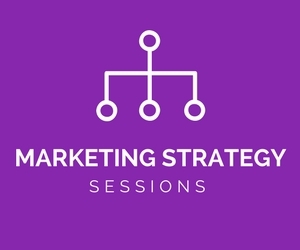 If you have already purchased a Marketing Strategy Session Package, please use the button below to schedule your upcoming sessions. You will then click on “Redeem Coupon or Package”. Please have your package code* handy, as you will need to input this code in order for the system to recognize you have purchased a package and deduct the session from your selected package. *The unique package code is included both on the final receipt page after purchasing and in the email you receive after purchase. If you can not locate this code, please email info@anotherhandadvantage.com to have it sent again.